When it comes to the health of your brain and heart, you want them in top shape. 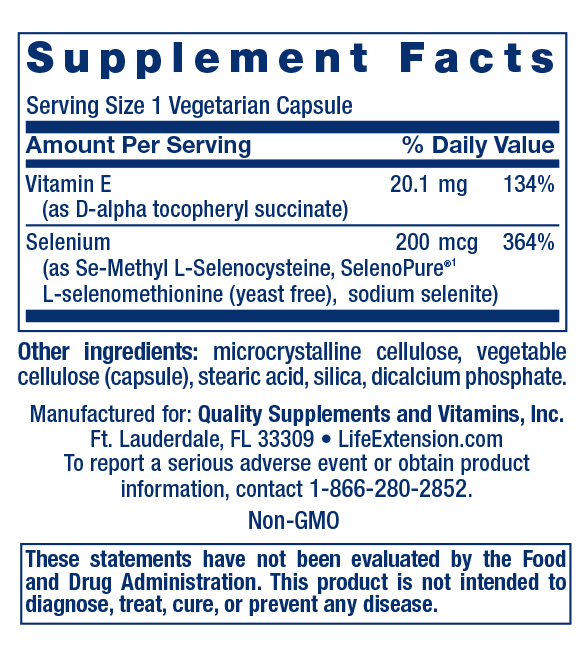 Life Extension’s Super Selenium Complex assists with that by providing three unique forms of selenium, as well as vitamin E. Helping your body fight off oxidative damage, as well as supporting normal thyroid and immune functions, Super Selenium Complex aims for optimal health and longevity support. If you are taking anticoagulant or antiplatelet medications, or have a bleeding disorder, consult your healthcare provider before using this product.